August 28, 2015,Mumbai Aircel have given the insight of latest trend in telecom sector. How different aspect of telecom sector have impacted by user expectation. How user trend changed ever since the value added services and internet revolution has taken place with revolution in smartphone development. Aircel is one of India’s leading innovative mobile service providers. The company is a pan-India 2G operator with 3G spectrum in 13 circles, BWA spectrum in 8 circles and is credited with the fastest 3G roll out ever in the Indian telecom space. 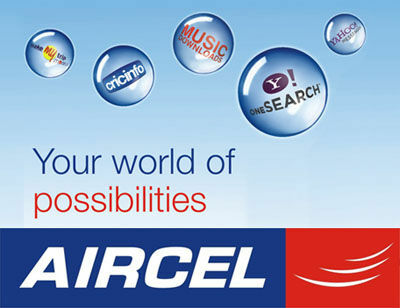 As a young data led telecom player, Aircel has constantly been at the helm of introducing innovative and value for money products and services for its customers, which are industry firsts, be it the Aircel Pocket Internet, taking the first step in making 3G affordable for the masses, being the first telecom player to introduce Facebook Voice Updates on Aircel, and many more. With a backdrop of the constantly growing smartphone adoption in India and a consumer who uses his mobile phone for much more. Aircel is building up a focus on introducing multiple innovative products in the space of Content VAS(Value Added Services) for its customers. Aircel’s VAS offering is comprehensive, providing customers with all their needs at fingertips. Whether it is music, entertainment, Caller Tunes, Voice Chat, USSDs, Contests, Gaming, Utility, Sports or Videos, the company has innovated in all spheres to stay ahead of the curve. Aircel has pioneered multiple VAS concepts such as ‘Cut Your Dialer Tune’ that enables customers to listen, choose and set their favorite part of a song as Dialer Tune. ‘Quiz Factory’ –which enables customers to use all forms of communication available on a mobile handset to play it, such as Voice, SMS and Data, making it a one-of-its-kind Value Added Services (VAS) proposition.